Because even a flatworm is smart enough to turn away from pain. 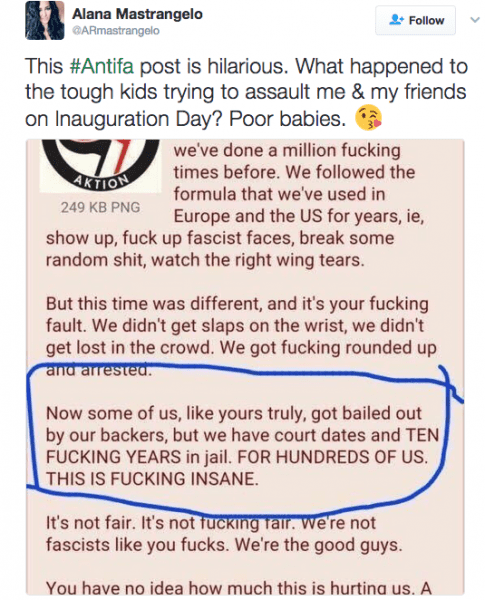 And that’s about how smart you “antifa” guys are. At most. UPDATE: People in the comments are saying this is fake. But this isn’t: More than 200 Inauguration Day protesters indicted for rioting.